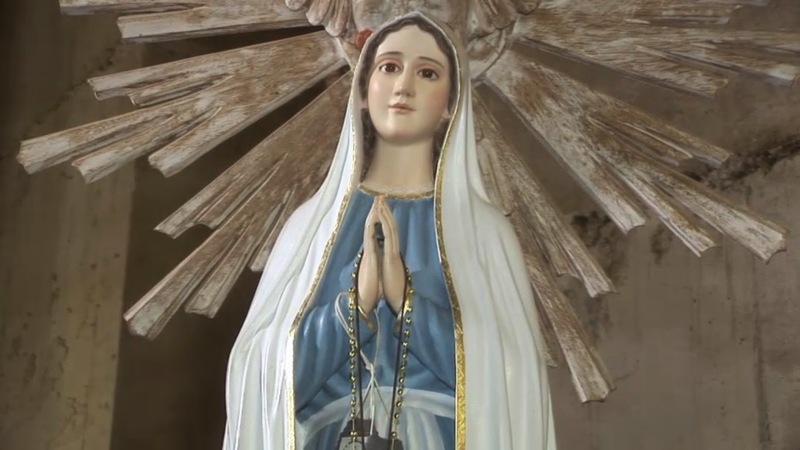 (Most Holy Mary): “My beloved children, I Am the Queen and Messenger of Peace. I came from Heaven to give ye Peace. Pray the Rosary for Peace. Pray the Rosary so that Peace remains in your hearts. In these wicked times of the great tribulation, of the predominance of Satan and of sin, Peace is increasingly threatened. In families, in society, in nations, in souls, Peace no longer reigns anywhere. It is necessary that peace returns, that Peace triumphs, but this will only be possible if the Rosary is prayed every day, by all men. I also recommend that you pray more often My Hour of Peace and the Chaplet of Peace, the Rosary of Peace, that I taught Here, to My little child Marcos, and thus, Peace may triumph in your hearts. Renounce sin, cut with all sin, with everything that leads ye to sin. Live in God’s Grace. You are the elect, I have chosen ye to be My Apostles of the End Times, those who spread grace and not sin, those who bring salvation to combat those who bring perdition. I Am with you, My children, every day, in your sufferings I Am by your side to comfort ye and give Peace as Queen and Messenger of Peace, I come to offer Peace of heart. Peace, Peace, Peace! Accept My Peace; receive My Peace. To everyone, I bless with Love and ask once again: Continue to meditate on the Ten Commandments so that you truly walk on the road of holiness.